The first recorded interment in the Fort Robinson Cemetery was James Brogan, July 2, 1875; the last was Fred Lester, June 13, 1945. Among the 258 interments listed in the cemetery records are two officers, Markland Williamson and James A. Swift; two Army scouts, Moses "California Joe" Milner (Custer's favorite scout) and Baptiste "Little Bat" Garnier; ten men killed in the January 1879 Cheyenne Outbreak; two Medal of Honor recipients, Emanuel Stance and George Jordon; and about 140 women and children, dependents of service personnel. 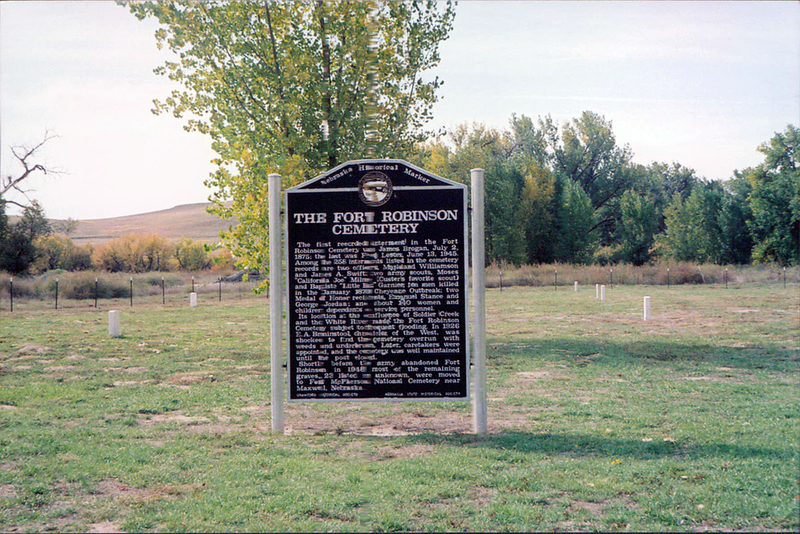 Its location at the confluence of Soldier Creek and the White River made the Fort Robinson Cemetery subject to frequent flooding. In 1926 E.A. Brininstool, chronicler of the West, was shocked to find the cemetery overrun with weeds and underbrush. Later, caretakers were appointed, and the cemetery was well maintained until the post closed. 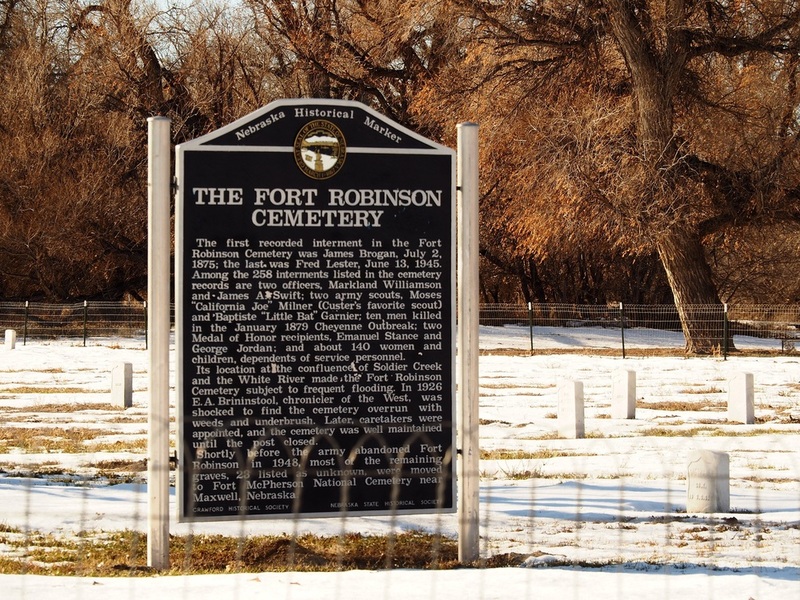 Shortly before the army abandoned Fort Robinson in 1948, most of the remaining graves, 23 listed as unknown, were moved to Fort McPherson National Cemetery near Maxwell, Nebraska. “The Fort Robinson Cemetery,” Explore Nebraska History, accessed April 18, 2019, https://mynehistory.com/items/show/129.